Hi everyone! I hope you are all recovering from all the festivities over the last few days. It's time to relax and chill out. At least that's what is on my agenda! 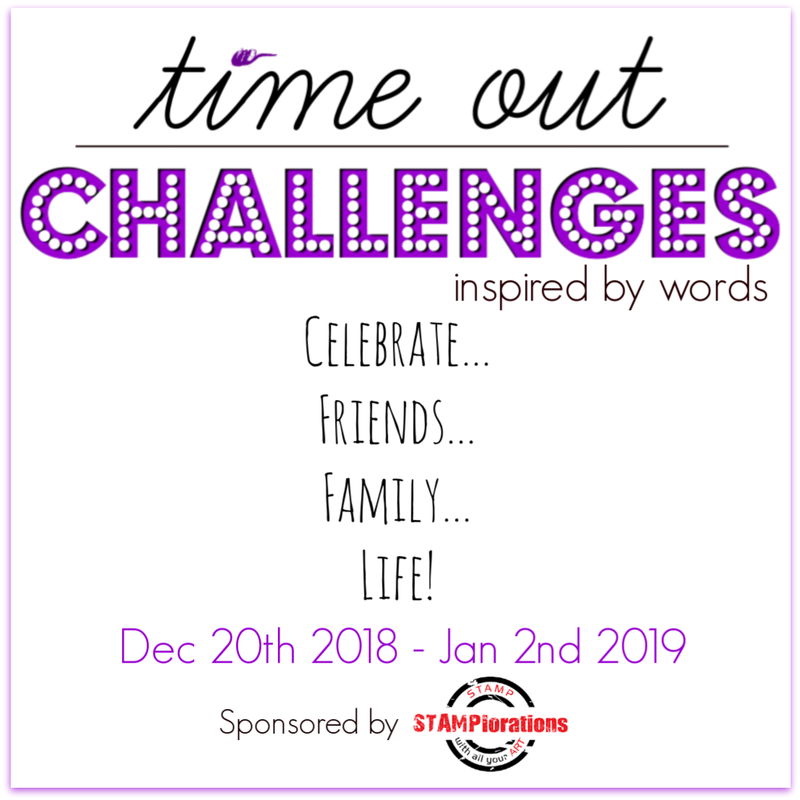 The Time Out challenge currently in its second week is our Inspired by Words challenge. 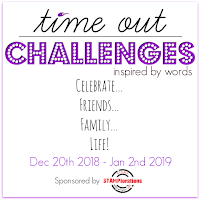 The words to be challenged by are celebrate...friends...family...life! 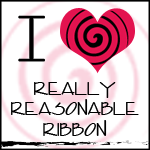 My card is geared towards the words family and life. We recently lost my father-in-law and my family was in need of some warm and cozy hugs, which we received from many of our friends, family, and many of you! So I think this card is appropriate. I made another card a few weeks ago with this same hat and scarf, but there was a girl's face in place of the words. I had colored two sets of these and didn't want the second set to go to waste, so I created this card. The background was embossed with a SU embossing folder that went well with the hat and scarf motif. There's some sparkle on it too! 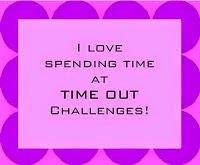 You can see more from the Time Out design team and our guest for this challenge, Michele, on the Time Out blog. 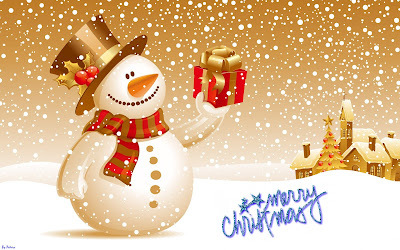 Merry Christmas to all of my friends who celebrate this wonderful holiday! 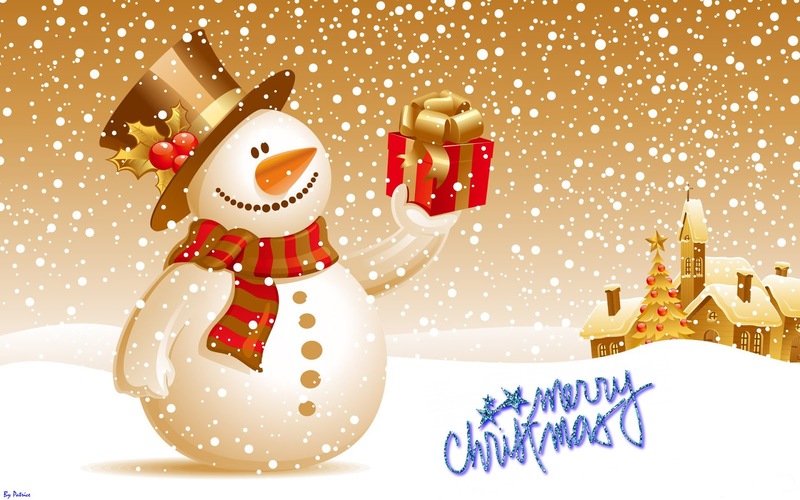 I hope you have a blessed day with family and friends! Hi everyone! 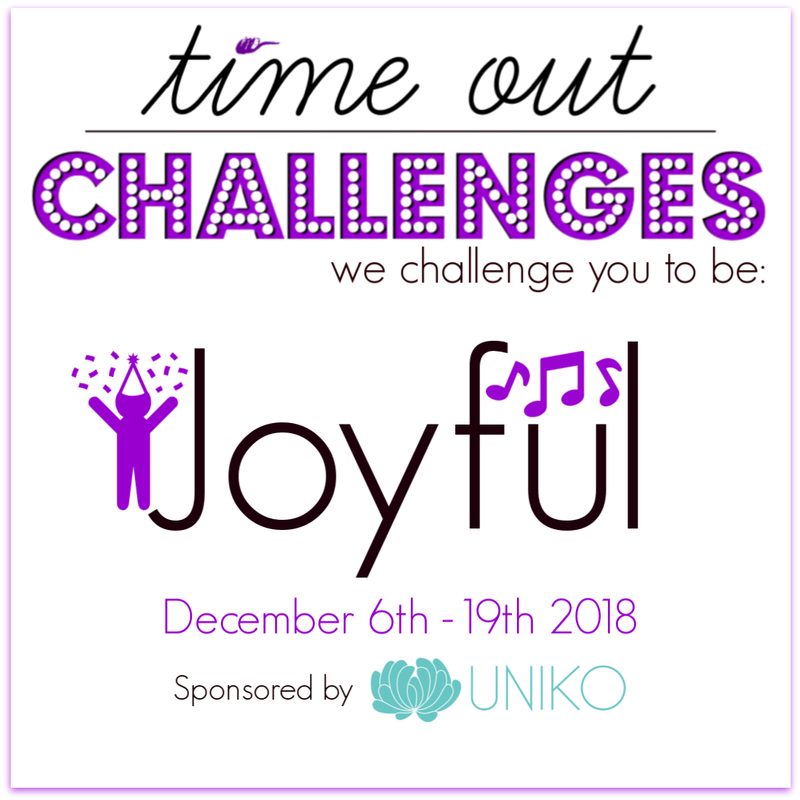 It's time for a new Time Out challenge, and this time we are challenging everyone to be joyful! Not too difficult this time of year, right? This card came together quite accidentally! I first made a card with this designer paper as a base for another card, but didn't like the way the main panel looked on it. So, I tore off the main panel and put it on another to make a different card that I liked better. (You'll see it probably next week!) 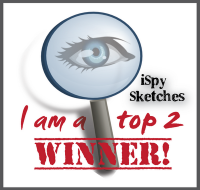 The tag was already made and was just going to be a free standing tag. 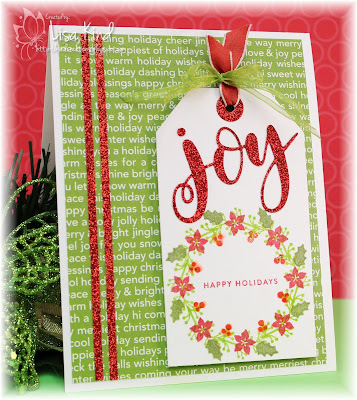 I created it using the tiny wreath builder set by Gina K that I got for free from Simon Says Stamp. This tag and base were sitting next to each other on my desk and I loved the way they looked together, so they became a card! 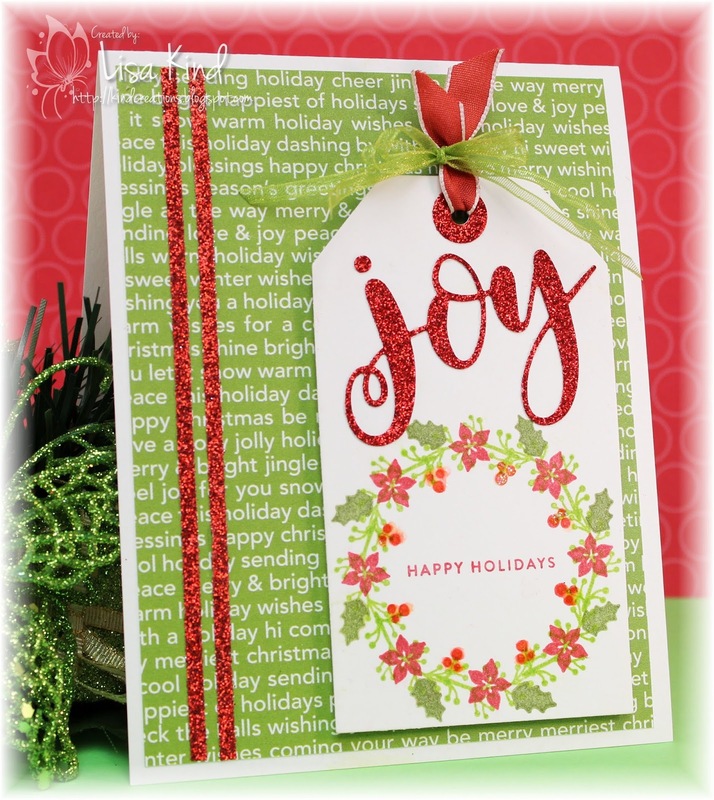 I just added the glitter washi tape and it was the perfect card for this challenge! I love red and green for the holidays. So festive! 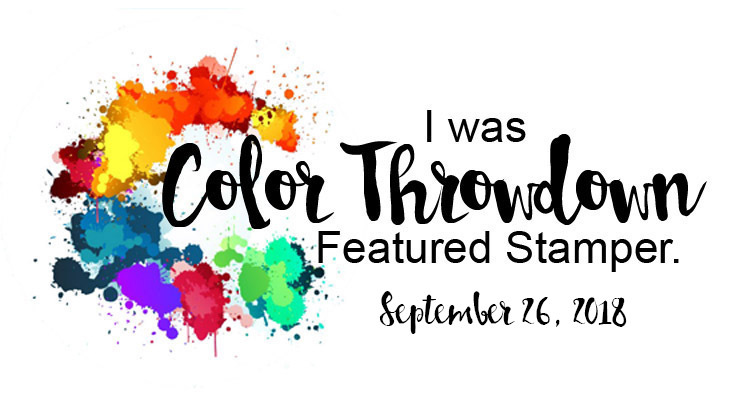 You can see more from the Time Out design team and our guest for this challenge, Chrissie, on the Time Out blog. 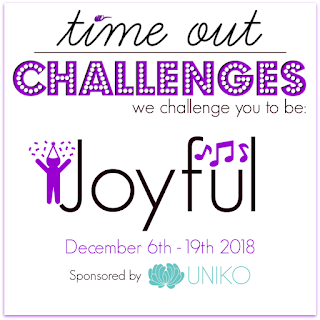 We are also sponsored by Uniko for this challenge. You can see the giveaway from them on the Time Out blog as well.